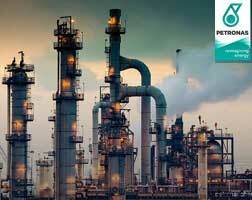 Dow has signed an agreement with Petronas Chemicals Glycols Sdn Bhd, a subsidiary of Petronas’s petrochemical arm and Malaysia’s leading chemicals producer, Petronas Chemicals Group Berhad, to collaborate on a carbon project at the latter’s world-scale ethylene oxide (EO) production facility in Kerteh, Terengganu. The collaboration is in support of the Dow-International Olympic Committee’s (IOC) official carbon partnership, the companies said in a recent joint statement. Together, Dow and Petronas Chemicals Glycols, are committed to reducing greenhouse gas emissions from the operations of Petronas Chemicals Glycols EO plant. Petronas Chemicals Glycols’s facility in Malaysia is Dow’s first customer to use its state-of-the-art Meteor EO-RETRO 2000 Catalyst. The catalyst is part of Dow’s high selectivity family of EO catalysts, which improves the performance of the EO production process while reducing energy consumption. EO is one of the world’s most important chemical raw materials, essential in consumer product manufacturing, including textiles, detergents and insulation.